A few hours after publishing the story on DMC Vijay Balamwar threatening activist Tiwari for complaining about illegal construction, another update has come in from Krish. Read it for yourself. 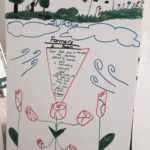 The worrying pary, of course is not that the illegal construction was demolished, or that the complaint was very effective, but the idea that sides can be taken based on beliefs that activists are deliberately causing harm, when they are using channels of ensuring the rule of law that are provided by the government. 25th July, 2013, Mumbai: FIRST THE BREAKING NEWS: According to Municipal Corporator Dilip Patel (9820175393), SBI’s unauthorized work in Juhu, which Advocate. 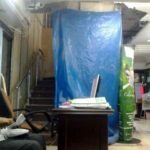 Sunil Tiwari complained against (http://tinyurl.com/complaint-x-SBI-Juhu), was demolished today. He said this following his phone conversation with DMC Vijay Balamvar today. 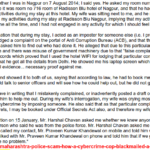 One presumes that this was a fallout of Tiwari’s complaint and our press release yesterday (Read http://tinyurl.com/Press-Release-24-7-2013 ). NOW THE VIEWS: A major fault-line between different groups of activists has been opened up by our press release concerning Tiwari’s allegations that the DMC threatened him for daring to send complaints on his official email and mobile. Hi, I am Advocate A.J Mishra fighting against injustice done by MCGM against demolishing me structure prior to 1985 on a complaint against various corrupt politicans . I presented myself and forwarded all legal documentary evidence regarding my structure. On various complaint made against the person on whose complaint my structure was demolished . I say Asst. Commissioner along with DMC deal has taken place not to demolish the unauthorised construction of Shri Anandkumar Gupta, Lilavati Anand kumar Gupta & pawankumar Gupta. 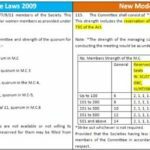 I say MCGM has issued notice under section 351, prior to 2006 but till date no reasoning order is passed & my structures was declared slum plot and all decomentary Evidence and the said structure of my was demolished. Ask Dmc Balamwar,dmc zone 4,why he is taking action on Roudg lounge’s unauthorized construction in crz area,, beside juhu nala, juhu,,why Dmc Balamwar not taking action as per mcgm rule?